Leash laws in Georgia vary from county to county, but most of them require dogs to be under some form of control by a competent handler, a leash, or fence. Dog owners have a duty to ensure their pets’ safety as well as the public’s safety. If an owner neglected to restrain or warn you of his or her pet’s behavior or presence, and you sustained an injury caused by the dog, then you might have a personal injury case. Let Attorney Dean Phillips assess your situation and provide the legal counsel you need to secure compensation for medical bills, prescription costs, and lost wages. The state of Georgia has many comprehensive laws regarding pet ownership including protective regulations for the welfare of dogs and for the pets and people who may encounter them. For example, the law mandates that county boards of health require dogs and cats to be vaccinated against rabies to ensure that people and other animals do not contract the disease if bitten. Some dogs can even be classified as dangerous or vicious under the law and may have harsher penalties if the dog injures someone due to the owner’s negligence. Much like other personal injury cases, you must prove certain elements. The owner has a duty to control his or her dog. 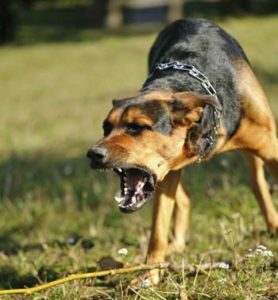 If the dog attacks you, a family member, or even your pet, then its owner may be negligent if he or she didn’t restrain the dog and you did nothing to provoke the animal. The dog must also cause some form of injury that is real and quantifiable. Medical bills, prescription costs, and lost wages are measurable and can be recovered. Cases involving dangerous or vicious dogs can be more severe. Dangerous dogs are defined as such if they’ve substantially bitten a person, killed a pet when not on the owner’s property, or threatened a person in such a manner as to cause the person to fear an imminent threat of serious injury. For dogs to be considered vicious, they must have previously inflicted serious injury on a person. Laws vary by county but often require the owner to register the dangerous or vicious dog and restrain it in some method. The rules frequently mandate that warning signs are visible. Attorney Dean Phillips knows that dogs and other animals can leave lasting damage. You may struggle emotionally, reliving the event and possibly developing a fear of dogs. You may have been scarred, disfigured, or disabled in some fashion. If the attack centered on your child, then the dog may have caused more serious injuries. If the dog attacked your pet, then your furry friend may have been exposed to rabies or sustain such significant damage that he or she must be euthanized. Dean Phillips is an experienced lawyer who possesses the skill and knowledge required to assess your personal injury case resulting from negligent pet owners. He will listen to your account, collect evidence, and subpoena witnesses if necessary. He will aggressively negotiate a claim on your behalf or fight for you in court. Having Attorney Phillips in your corner will help you get the settlement that you deserve. Mr. Phillips represents people injured by negligent owners and their dogs in Marietta, Cobb County, Paulding County, Bartow County, Acworth, Austell, Powder Springs, Smyrna, Kennesaw and Woodstock. For a free consultation on your personal injury case, call 770-415-0933.